We are a group of experienced freelancers, which are working in different directions of Online Business. What unites us is the love of a different kind of automation. Of course, PC processes automation. So, that mean different kinds of scripting and program development. We are also interested in online gambling. That is how our project started. It was 2012 when X-Trigger.com website started to provide development service for triggers creation for the X-Feeder program, which automates gambling on Betfair Exchange Games. With help of WellDone Creative Software program – X-Feeder – we created many interesting triggers over the past few years. Of course, it is necessary to mention that we are also an Online Shop, where X-Feeder users can buy triggers for that program. Our team members created few triggers for sale. However, later on, we teamed up with the some Third-party developers, which trusted to sell their triggers for a fee. Over time, we have changed products in stock. Old triggers been removed, new were published and promoted. We noticed, same strategies could show different results over time, and it is impossible to have the same result always. 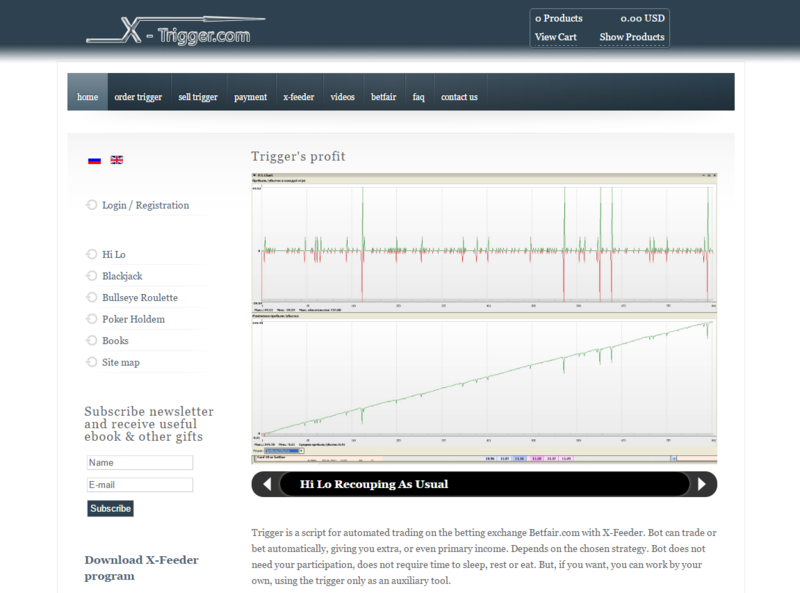 It was the reason we started to recommend our customers to create own strategies and order triggers on X-Trigger.com. That is the only way to determine the permissible degree of risk. However, we are trying to offer best products in our shop all the time. In 2016, when we had professional support members and high-level developers in our team we decided to upgrade our service to the new level and create full-blown trading platform – Scripting Marketplace, where it’s possible to sell their scripts for everyone. New design, new capabilities in working with products and in the Dashboard. Put simply, we recreated the site again. X-Feeder triggers still our main product after Restarting. However, we are full of hope that our service will continue to evolve and we will start working with lots of other automation programs and scripts. Thank you for staying with us all that time! Without you, there would be no us.